When you undertake home inspection training, your study materials will include information about inspecting crawl spaces. The truth is that crawl spaces and attics can be fraught with danger. 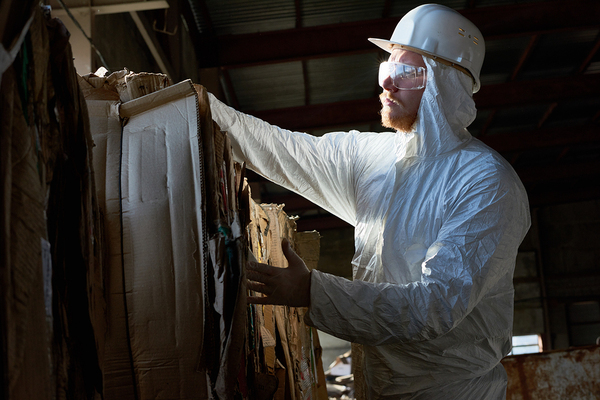 Inspectapedia recommends wearing knee pads, gloves, a Tyvek suit, goggles, a hard hat, a respirator with a HEPA filter and carrying a flashlight and cell phone with you. Home inspectors must frequently enter attic crawl spaces to check the integrity of a home’s roof. It is considered too dangerous to require an inspector to walk on a roof, so inspections are more commonly done by looking at the roof from the ground, climbing a ladder and viewing it from the eaves, and looking at the underside from the attic. Many unfinished attic areas are not equipped with lights, so a powerful flashlight is a necessity for proper inspection. Access is often via a ladder that can be pulled down with a cord. Other times the egress point is merely a trap door and home inspectors must use their own ladders. Always enter an attic cautiously. 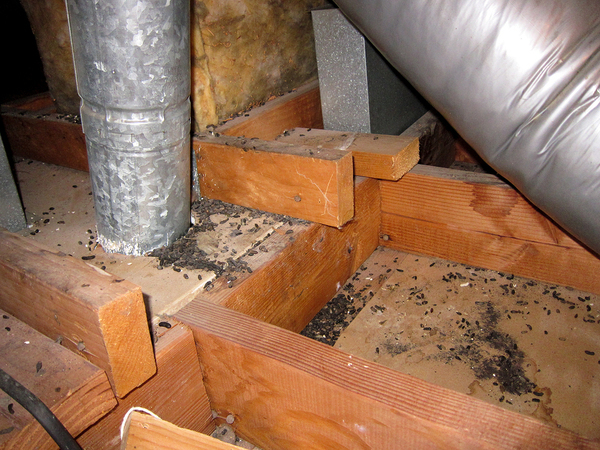 Many attics are inhabited by creatures such as bats, squirrels, mice, birds, raccoons, and more. Whereas bats are less likely that squirrels to react by attacking when disturbed, you should still avoid entering an attic if you see bats in it. They can carry rabies, and suffering a bat bite could result in lengthy, costly, and painful medical procedures. Crawl spaces underneath dwellings are even more dangerous. Many types of creatures can be found underneath a home, including feral cats, snakes, rats, skunks, opossums, poisonous spiders, and in at least one case, a mountain lion. Consider donning a hazmat suit to crawl underneath a house. This will not protect you from a mountain lion, but it will protect your skin from insect bites and your lungs from potentially unsafe substances. One example is hantavirus, an airborne infection that originates from rodent droppings. Hantavirus has no cure and is fatal 38 percent of the time, according to the Centers for Disease Control and Prevention. Chemical leaks, asbestos fibers, and mold contamination also present breathing hazards. Beyond the peril of encountering dangerous creatures, a ground-level or subterranean crawl space poses the hazard of electrocution. If you see standing water or puddles of any depth, do not go in. One loose or bare wire can cause an electrical shock severe enough to kill you. Also, beware of sewage spills. Even a leak that is no longer active can pose a hazard. Be on the lookout for telltale signs like toilet paper on the ground or a strong, unpleasant odor. The most serious risk of crawling under a building is that of the building collapsing on you. Be sure that the home looks structurally sound before entering a crawl space. Although entering crawl spaces can be dangerous, the American Society of Home Inspectors Reporter reminds home inspectors that it is necessary. It is here you are likely to discover problems such as structural issues, plumbing leaks, infestations, and more. Home inspection training can prepare you for the pitfalls and dangers involved with the job of inspecting houses, so it is a good idea to keep abreast of industry standards and changes — for your own safety and for the success of your business. To learn how to get home inspector training and embark on a new career, check out our website today!